So far this season I’ve reported on a superb win at Chelsea, an undeserved defeat against West Brom, a wonderful night when we outclassed League One opponents Blackburn Rovers in their own back yard, a dramatic late Wembley equaliser against Tottenham Hotspur and now this latest report is of a somewhat fortunate 1-0 victory against Crystal Palace. Despite being into mid-September and the game having anything but a summer feel to it, this was just our second home game of the season. That first one, against West Brom, had ended with real disappointment because, on the balance of play, we simply didn’t deserve to lose it. If that was the case then I think it is fair to say that we didn’t particularly deserve to win this one. Against a team who had neither picked up a point nor scored a goal, and with a manager under pressure after just three games, it all looked set up for us when Chung-yong Lee gifted us a goal in just the third minute. At that time I think many were considering how many goals we might score, but by the end it was sheer relief that the points were ours when we heard Michael Oliver’s whistle for the final time. This was our first televised game of the season but already our second Sunday game. It had been shirt sleeves weather at the previous games but the temperatures had dropped significantly on the sort of day when traditionally we’ve always enjoyed welcoming the southern clubs with plenty of rain and a nice Turf Moor breeze. Palace made a number of changes, bringing to an end manager Frank De Boer’s favoured 3-4-3 system, while for us it was back to the more familiar looking 4-4-2 with Chris Wood getting his first start and Scott Arfield, who had played so well at Wembley, dropping to the bench. It’s not often we play towards the Jimmy McIlroy end in the first half but we were soon giving the fans at that end plenty to cheer about. Quite what Lee was trying to do I’m not sure but his back pass from within our half of the pitch was not the wisest of moves. He got it horribly wrong and that left Chris Wood clear. He ran onto it and took just the one touch and that was to fire in his shot from around 35-yards past the onrushing Wayne Hennessey who then tried, without getting close, a diving header. Long before the ball hit the net, the fans at that end were celebrating the goal. It’s not a bad way to start your home debut after a record breaking transfer. At the time I suggested it was probably the most dramatic since Ade Akinbiyi’s against Sunderland back in 2005. And so we sat back and waited for the avalanche. It didn’t come. Palace were nearly level almost immediately when Matt Lowton cleared off the line but then both Sam Vokes and Wood went close as order was restored. But that was about it for us and for much of the remainder of the game we had some defending to do and thankfully, with a little bit of luck here and there, we did it well and survived to claim the points with this narrowest of victories. Our biggest problem in the first half came just past the half hour when Tom Heaton claimed the ball in the air, went over Ben Mee and landed awkwardly. He called for assistance immediately and eventually left the pitch with a suspected dislocated shoulder. That brought Nick Pope onto the pitch for his first league appearance since he played for Charlton against us in May last year on the day we won the Championship title. It was a real concern but, and this is a real plus for Pope, I hardly noticed him and when I did it was for positive contributions. We got to half time but things got even more difficult in the second half. We had so much defending to do you wondered how on earth Palace hadn’t scored a goal all season. But defend we did, and superbly too, meaning there wasn’t too much for Pope to actually do in terms of making saves. He palmed one effort away from Yohan Cabaye and saved brilliantly with his leg to deny Christian Benteke but there were times when Palace were wasteful with the chances they did get. Dyche sent on Ashley Barnes for Vokes just past the hour and that did liven us up for a while, even getting in our only on target shot, other than the goal, but as the game wore on we seemed to be pinned back in the final third of the pitch for most of the time. They won seemingly corner after corner, they were at times wasteful with opportunities, James Tarkowski cleared one off the line, and the worst miss of the lot came from former Blackburn defender Scott Dann right at the end when he somehow headed wide from a right wing cross when it really looked easier to score. By now, De Boer and his sidekick Sammy Lee looked crestfallen. They knew there wasn’t going to be a goal and as we moved into stoppage time, we got the ball down to the other end and spent as much time as possible by the corner flag. So a 1-0 win it was and the word I used at the top of this report was fortunate. In some ways it was and even our manager said they were better than us. But they weren’t able to score a goal and for a lot of the time they weren’t able to get the better of our outstanding defence. You certainly wouldn’t swap places with them would you? We sit in the top half of the table, they’ve sacked their manager after 77 days and are about to appoint septuagenarian Roy Hodgson. Embed from Getty ImagesI think you could bring a case forward for anyone of our back four to be chosen as man of the match but then there was Jack Cork who must have run himself into almost exhaustion, another outstanding performance from the midfielder who is certainly making a difference to our team. That’s seven points from the first four games. That’s way beyond what I thought we might get when I first saw the fixtures and checked out those opening two away games. It’s our best ever start in the Premier League and, incredibly, only three times have we bettered that in any league since the introduction of three points for a win. In the 2001/02 season we had nine points but in 1988/89 and 1999/2000 we started the seasons with ten points from the first four games. As someone said to me last night, if 40 is the target, we only need 33 now. But we know how unforgiving this league can be, and they are only sending us to Anfield next to take on a wounded Liverpool. But a great start and even if we weren’t at our best we got another three points, kept a first clean sheet of the season in the league and moved up to seventh. I think we’ll all take that for now. 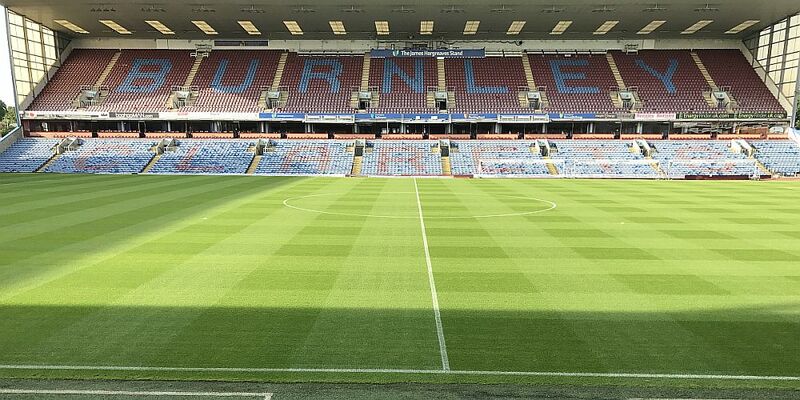 Burnley: Tom Heaton (Nick Pope 36), Matt Lowton, James Tarkowski, Ben Mee, Stephen Ward, Johann Berg Gudmundsson, Steven Defour (Ashley Westwood 82), Jack Cork, Robbie Brady, Sam Vokes (Ashley Barnes 64), Chris Wood. Subs not used: Phil Bardsley, Kevin Long, Scott Arfield, Jon Walters. Crystal Palace: Wayne Hennessey, Joel Ward, Timothy Fosu-Mensah, Scott Dann, Jeffrey Schlupp, James McArthur (Jairo Riedewald 81), Yohan Cabaye, Jason Puncheon, Andros Townsend, Chung-yong Lee (Levi Lumeka 65), Christian Benteke. Subs not used: Julian Speroni, Patrick van Aanholt, Martin Kelly, Luka Milivojevic, Sullay Kaikai.